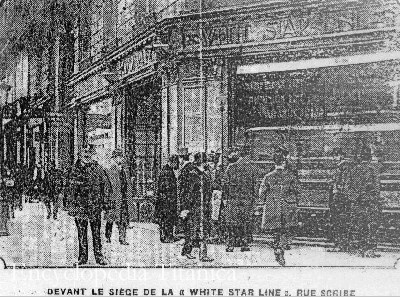 This picture of the Parisian offices of the White Star Line was published by a French paper. It shows poeple rushing to get news of passengers aboard. A policemen is guarding the entrance of the office.